Those tiny, icky bugs may one day be creeping and crawling right onto our dinner plate. 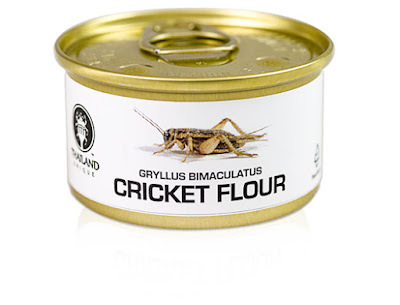 Two billion people today regularly eat insects. That’s 28% of the world population. The following are 14 concise and compelling reasons why more of us will and should join the global bug-brimming banquet. “It is difficult to generalize the nutritional composition, but Rumpold, Schlüter consulted more than 50 literature references. Data from 236 of the more than 2000 edible insect species show that, despite the large variation, they provide satisfactory energy and protein, meet amino acid requirements for humans, are high in monounsaturated fatty acids and polyunsaturated fatty acids, and rich in several minerals and vitamins. Of particular interest is the high iron and zinc content in comparison to conventional meat. “No, not because everyone’s lost their appetite. The authors of the U.N. report (The United Nations Food and Agriculture Organization) suggested that because insects contain a comparable amount of protein with more healthy fats than meat, they could help slow down the worldwide obesity epidemic. In 2008, 1.4 billion adults aged 20 and over were overweight, with about 500 million of these being obese, according to the World Health Organization. 12) Farming insects instead of animals saves an almost unlimited amount of water. “Linking back to their efficiency in generating bodyweight, insects also produce less waste, making them easier to farm and more economical. On top of this, the waste that insects do produce is dramatically less harmful. Many large-scale mammal farms generate the waste equivalent of a small city, polluting groundwater and rivers with animal slurry. Agriculture is the leading cause of human induced climate change. Livestock rearing is also responsible for 18% of greenhouse gas emissions, a higher percentage than all transport. “Bug farms could be the most efficient animal farms out there. Crickets, for instance, require 12 times less food than cattle and half as much as pigs for the same amount of animal protein, because insects are cold-blooded and more efficient at keeping themselves warm. And the food they do get doesn’t have to be top-notch. Bugs can live on ‘organic side-streams’ — like food industry by-products — to help reduce environmental waste. They produce fewer greenhouse gasses, too.